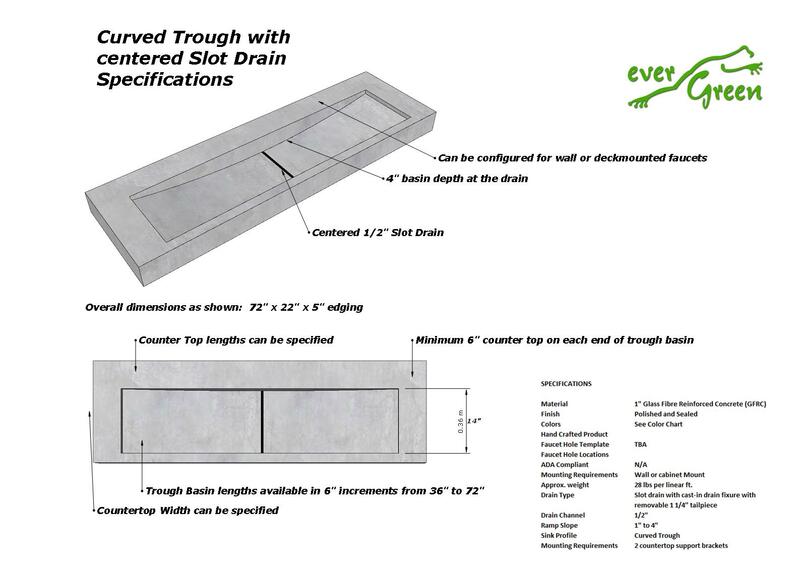 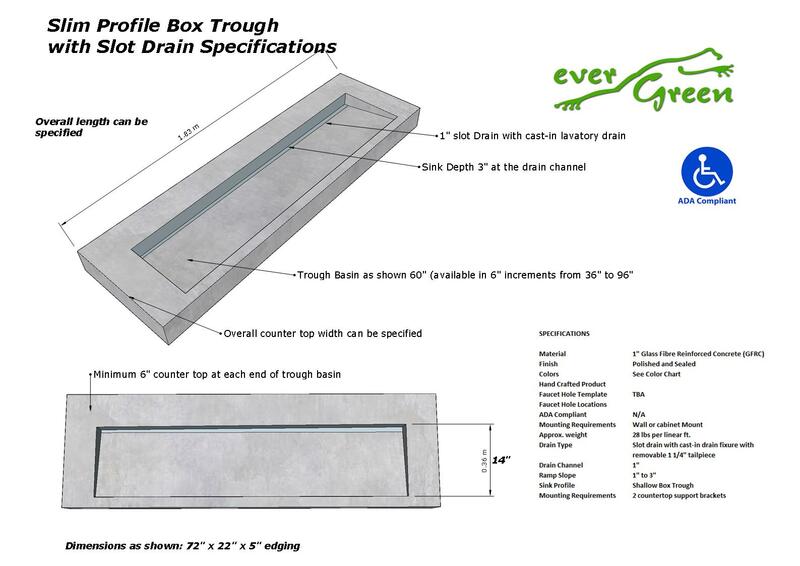 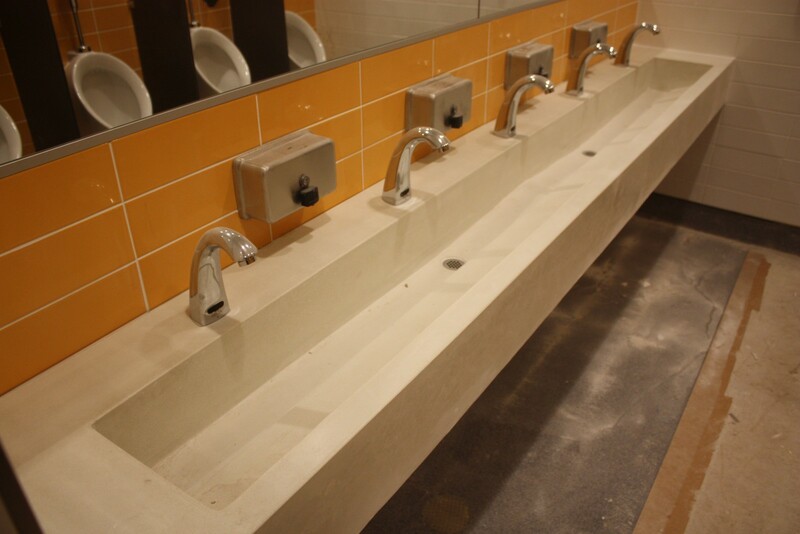 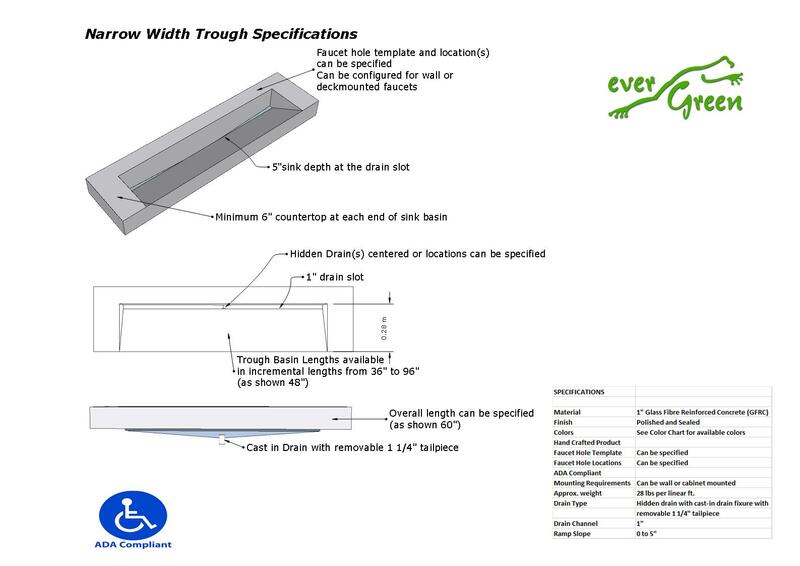 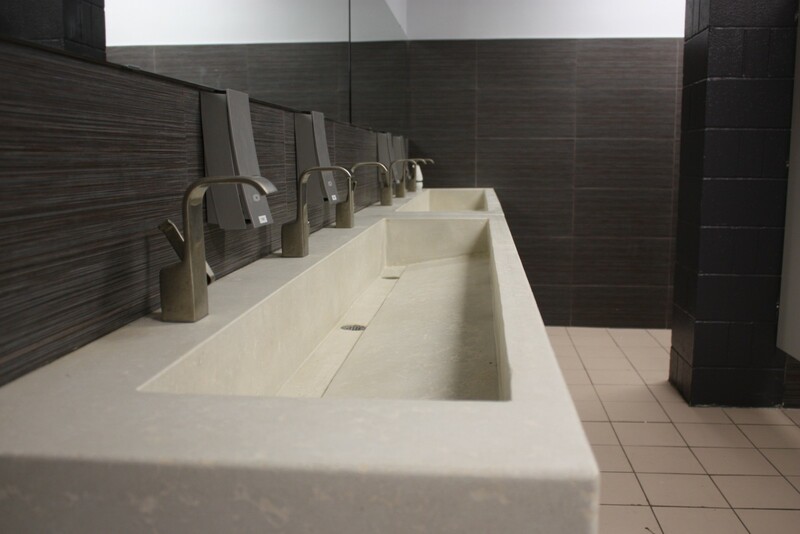 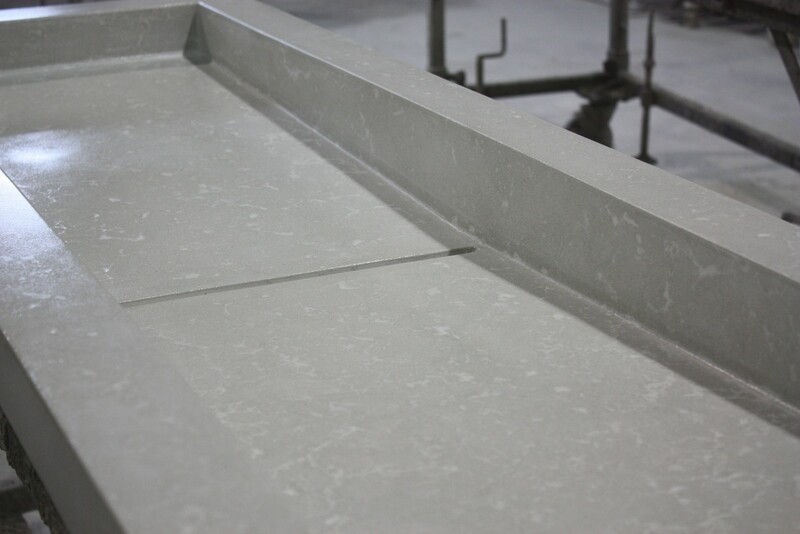 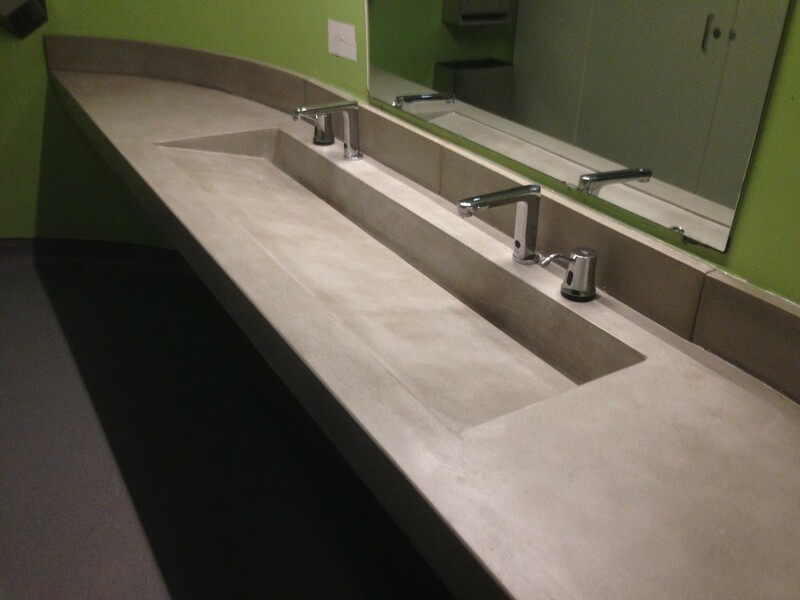 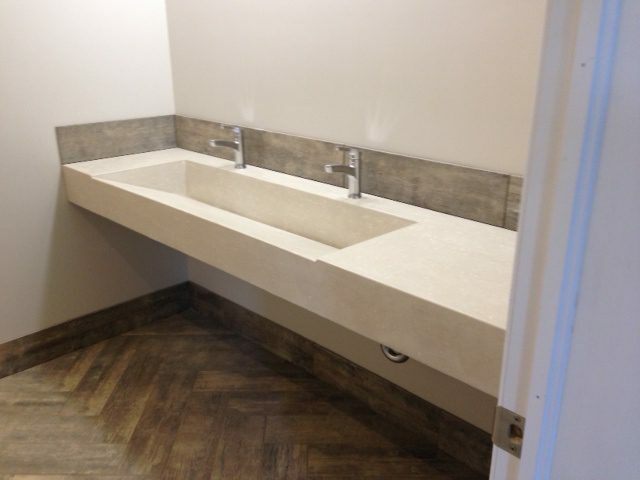 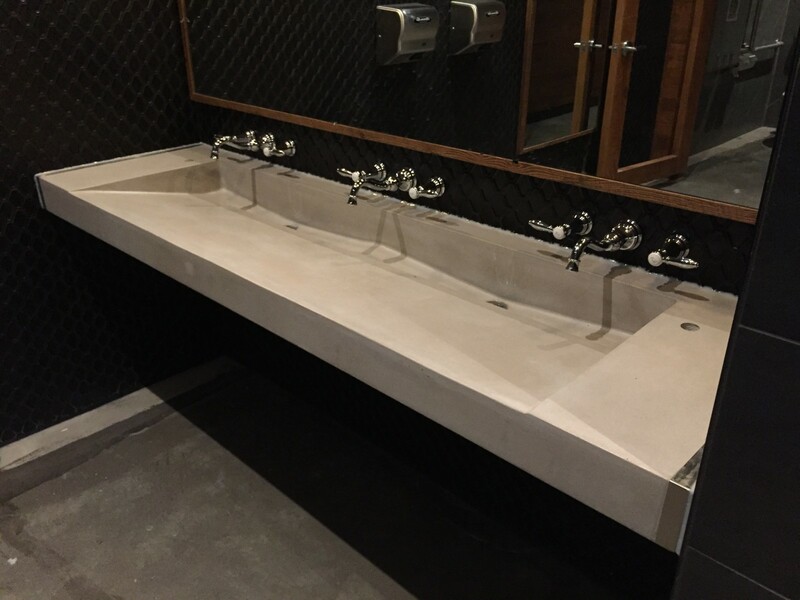 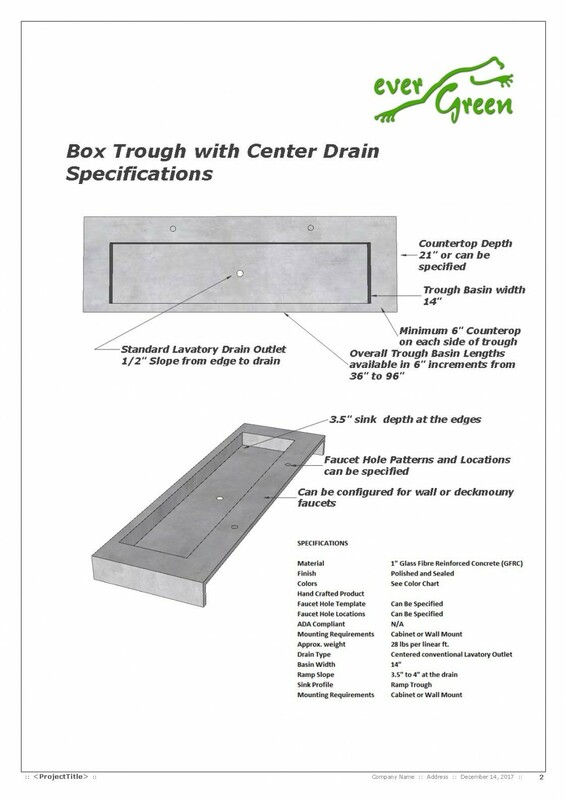 Our durable trough sinks can be customized to fit your exact space. 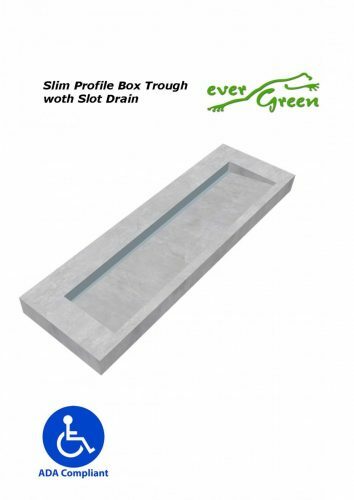 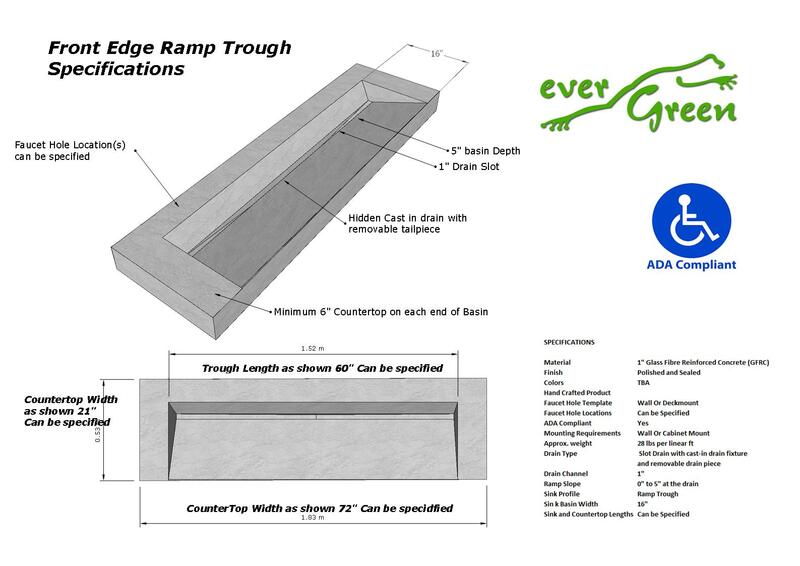 The trough styles and profiles are unlimited, in terms of shape, depth and length. 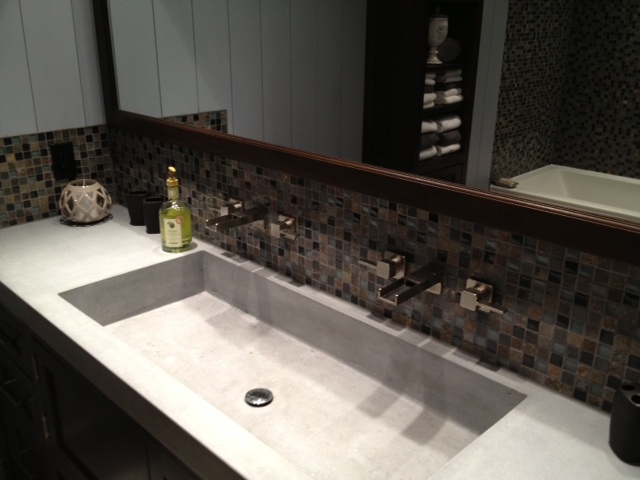 Lots of colors and textures to chose from. 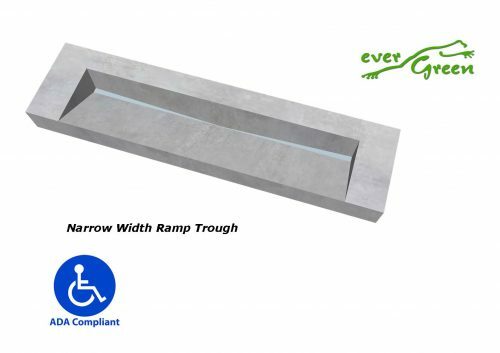 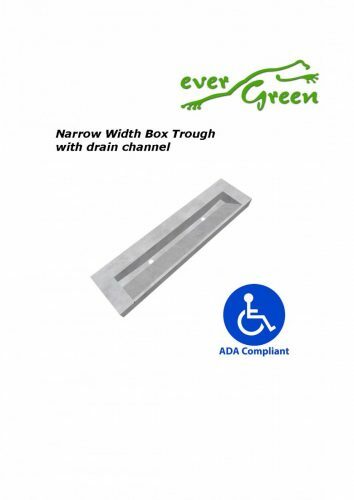 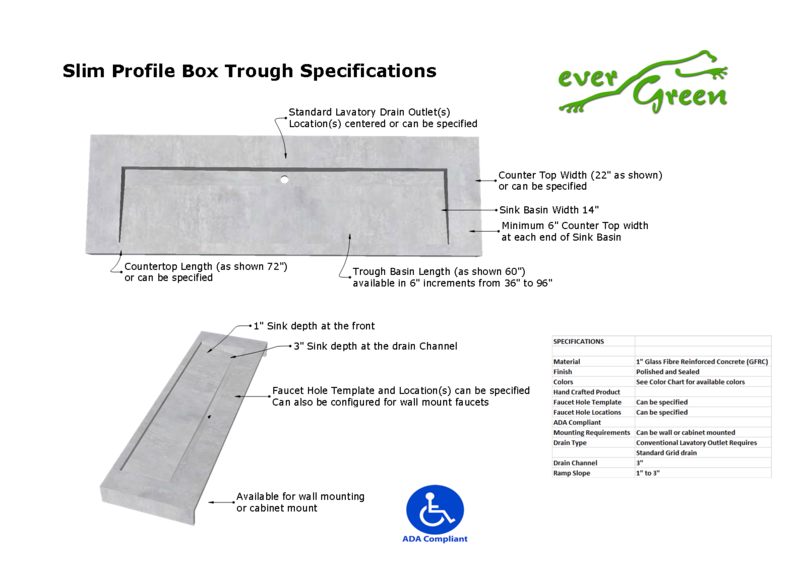 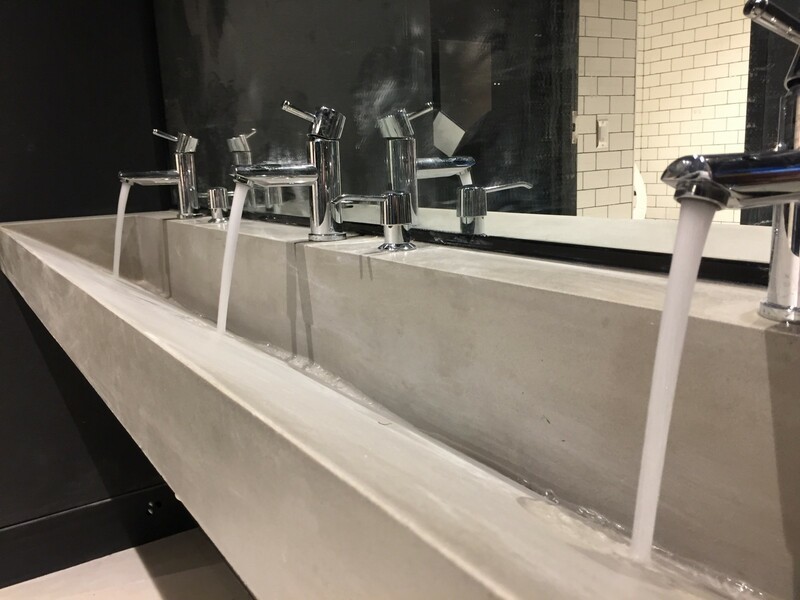 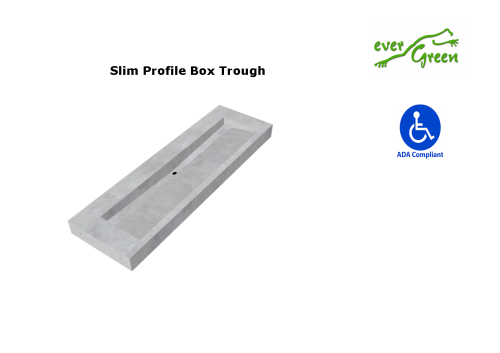 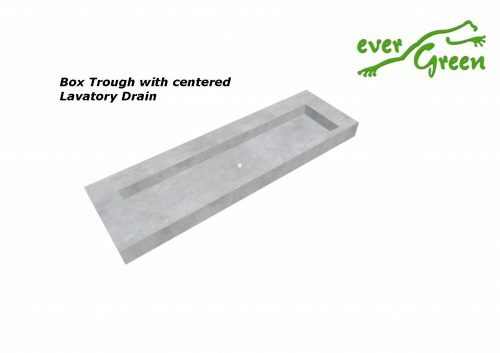 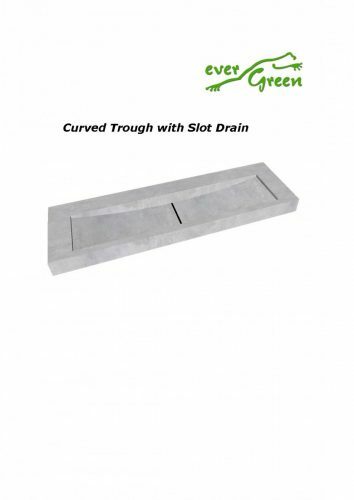 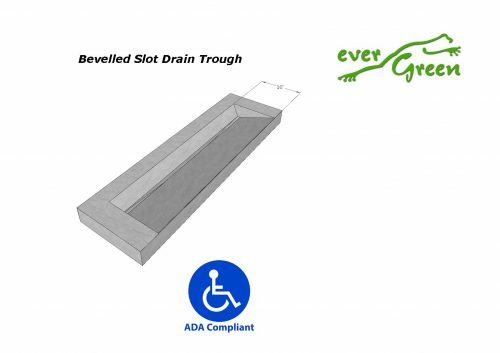 Our trough sinks are designed to minimize the counter area that will collect dirty, standing water and drain the water as fast as possible. 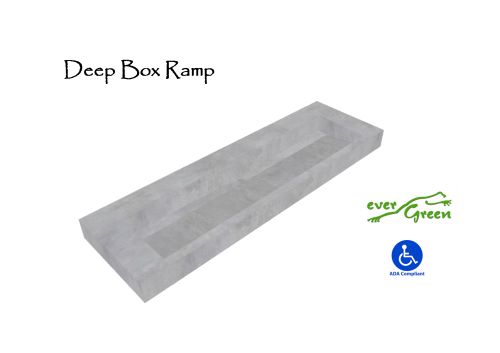 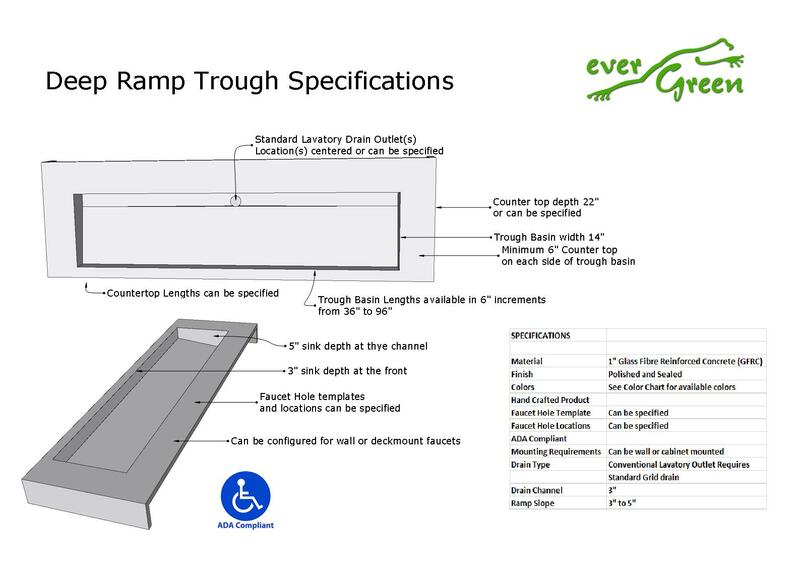 They can be easily suspended from the wall, or integrated with any kind of support base. 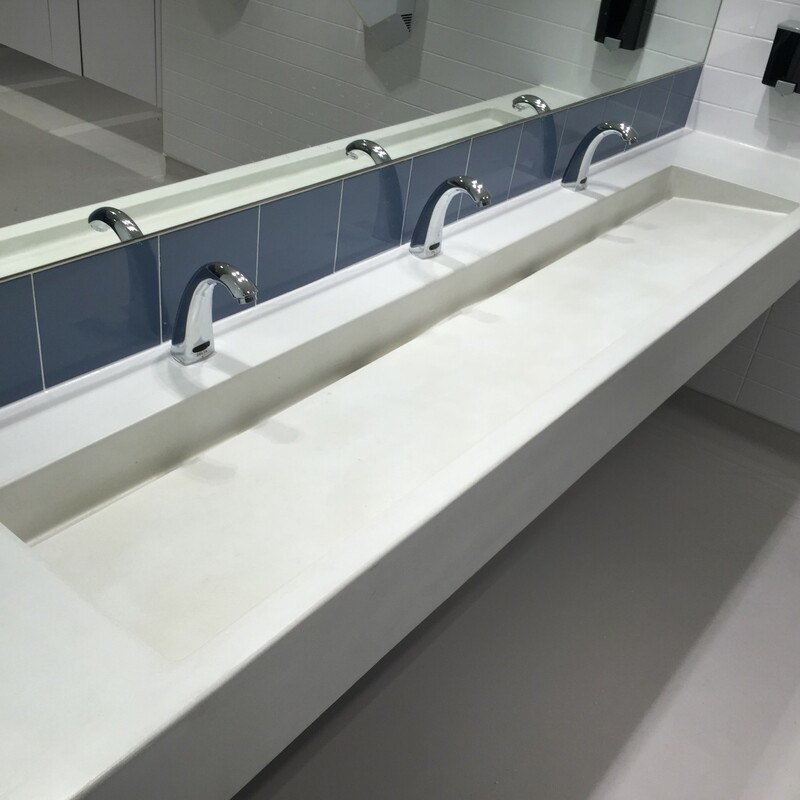 The finish is extremely durable and simple to clean. 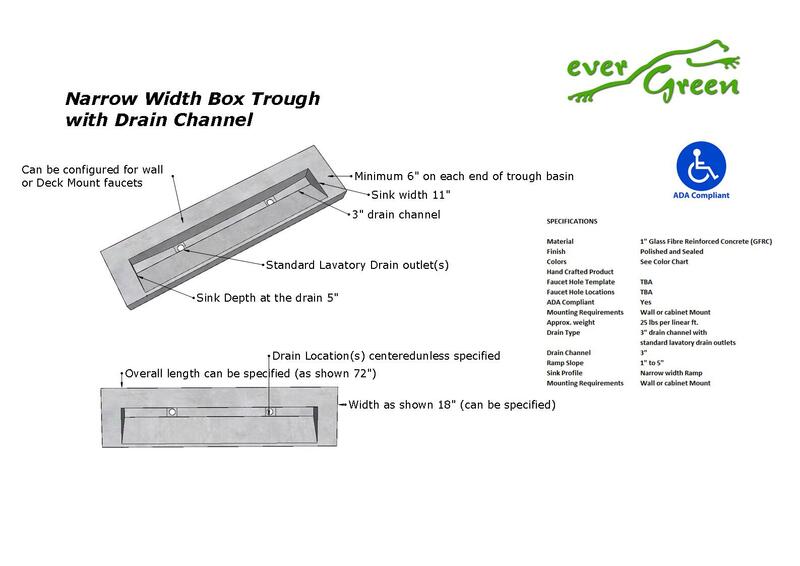 Dimensions: Available in lengths from 42" to 120"